Google has recently launched YouTube Partner Program officially in Pakistan. YouTube content creators in Pakistan can now monetize their videos. YouTube is a very rewarding platform where the publishers create amazing videos that people like to watch, and in return they monetize their videos with Google Adsense platform. Now anyone can create a YouTube channel, upload some videos, register a Google Adsense account, put ads on their videos and start making money. If one is in the YouTube partner program he can monetize videos on his channel and earn money. All you need to do is to turn on monetization after logging into your account and connect your Google Adsense account with YouTube. Millions of people around the world are literally making money through YouTube partner program. 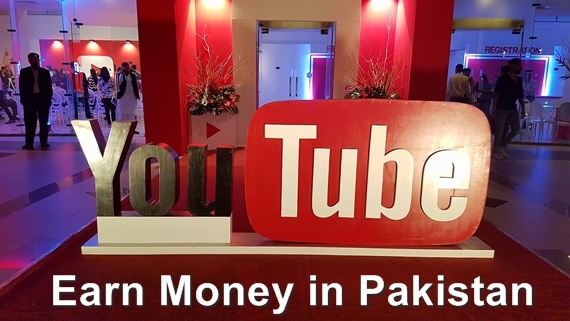 In the past, Pakistanis could only upload their videos on YouTube but they were unable to make any money from YouTube because YouTube Partner Program was not available to Pakistanis. YouTube allows you to make money on nearly all kinds of content you upload except adult and content that does not meet the standards of Google Adsense program. You can upload any type of videos e.g. video about your hobby, funny videos, interview and educational videos etc. However, only original videos can be monetized. The first step is to create and setup your YouTube account. Enter basic account details such as channel name, the kind of content you will be uploading and a good cover photo for your channel. Now you should enable monetization on your account and sign up for Google Adsense. Visit https://www.youtube.com/features after logging in to your account. Press the icon which says Enable “Monetization”. Accept the terms and conditions and connect your adsense account with YouTube. This is only available for users with an Adsense account. I gets my youtube account suspended everytime due to copyright issues. Can you guide me how can i make money online with any other source?